I want to share this with you, no I have to share this with you! Two years ago I made a leap, a commitment to myself after using doTERRA essential oils for 5 months and a phone call with my team leader I couldn’t believe I was saying yes to this business opportunity but I did. The thing is the oils are so awesome; it is hard not to share them with other people when I know they work, they are safe, affordable and change lives! I had no clue what was going on and had a friend tell me she wanted to build under me so on that note I dove in. What did that look like for me, at home with a baby under one? Well, I took time each day for personal development and committed to learning about the essential oils, doterra, the other products and to having my first class. My friend Rebecca taught my first class and my closest friends came and almost all of they bought a kit. That week a cheque came in the mail, it wasn’t for much but it helped with my monthly order so I was happy about that, since I wasn’t getting that many cheques. The next day another doterra cheque came and again it wasn’t much but it was awesome and truthfully I didn’t even know what it was for. I love getting weekly cheques, I love getting my monthly order covered so my family has access to all the oils and products that we now use for everything , every day, on our daughter, ourselves, our house, car, and even our dog. As a Mom that teaches yoga, has a hula hoop company, and a health coaching practice I wondered how I was going to fit this in but the weekly cheque was drawing me to learn more. There seemed to be some financial opportunities that can be hard to come by in my current jobs. In, two years of cultivating my doterra business I am seeing my future and it’s bright. I started with some small cheques and some months were better than others and as I continue on they are getting bigger and why does this matter to me? I was recently challenged on my why I was told it was too fluffy and you know what it was. I had to get clear about why I am doing this business. Here’s the down low on my why. In university I got a credit card (this should be illegal), I immediately bought a brand new snowboard and maxed it out and didn’t have a clue about how interest worked. My credit card use was out of control, I was going on shopping sprees, buying alcohol and paying rent with my credit card. This has caused me a heavy burden and tremendous shame, guilt, and other issues. Somehow I have managed to pay minimum payments without missing much but I was really just moving my available credit around to make that happen and was only going deeper. After I thought I found my calling I opened a yoga studio, completely ignoring the financials to follow my heart, well that has also been a burden for me to deal with daily. I have been in debt since I was 18 years old. I have paid thousands of dollars back and so much interest it makes me feel sick. My why? I want to be free from credit card debt, I want to easily afford the healthiest food on the planet, I want to travel with my family and friends, to have amazing experiences, to not worry about paying bills. That’s why I love my doterra business. I am set up to succeed I just have to stay with the program and if that means using and loving my oils well that is easy. Believe me, it is tough to get clear and super truthful but to shift the energy I am willing to feel uncomfortable if it will inspire you. I am committed to working with my team of essential oil lovers that also want to share oils and build a doterra business. Are you curious to know what it takes? What is involved? If you could do this business? Well, you have to start with your oils! Use them, every day, get confident, watch the ripple effect they create and once you are comfortable with that then this is the next step. Set up your monthly Loyalty Rewards Program (LRP), this is the smartest way for you to get more products, to get points back from your orders to use toward more products, a chance to get a free oil of the month. In order to build your doterra business, you must maintain a 100PV (point value) order every month and keep your cart at a min. 100PV at all times. This is because you get a commission only when you have kept a 100PV order. I have had several businesses and done lots of reading about MLM business models and I am going to tell you this is a great business model for mom’s, students or people that don’t have $10,000 to start a business or the millions it takes to purchase a franchise. This type of monthly investment into your business and your health pays off, big time! You have to have classes. How many classes? It’s up to you, how fast do you want to grow your business, how much do you want to get out of debt, travel, put away for retirement? What are you why? For some people 2-3 classes a week makes sense for others it is more 2-3 a month. Either way, you can get started. What is awesome about the classes? Well, the person that enrolled you teaches it for you, there are tons of resources, like already made powerpoints or doterra has a class in a box for $35, which is literally a full class with all the handouts, samples, and DVD, it’s so easy. So that’s it! Not kidding! You keep a 100PV order each month and you share oils with other people. You can do on-line facebook classes, one on ones, classes, make and take classes, rollerball classes, themed classes, the list goes on but you get to make this business yours! You have to fill out a monthly biz check-in in order to get a monthly mentoring call. There are times when it’s tough but the other part of this business that I never had having my own yoga studio or other jobs which are a support team, a whole team of high vibe, like-minded people cheerin you on. Do you have that at work right now? Can it be better for you? This is a low-risk business to test out but give it time, think long-term financial security. 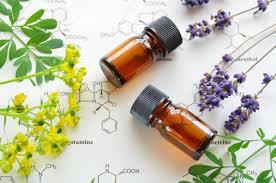 I had to share this with you, to give you my honest opinion about doterra so that you know what is involved. Next steps… book a one on one 30 minute biz exploration call with me and we’ll get clear on your why what your heart truly wants for you in this life and well make a plan together to get you started.